It’s June, which is one of my favorite months of the year. Flowers are blooming, and blueberries and soft-shell crabs are plentiful in grocery stores. But June is also when farms are harvesting winter wheat, the most popular variety of wheat grown in America. So given this fun fact, I thought it would be the perfect month to focus on some great recipes that incorporate whole wheat. I’ve wanted to write about whole wheat for a while now. Since the New Year, my wife and I have been trying to substitute nutrient-rich whole wheat flour for white flour. To our surprise, it hasn’t been as difficult as expected. We’ve actually come to prefer the taste of whole wheat flour in certain foods over white flour. Whole wheat flour is very different in taste and nutritional value when compared to white flour. 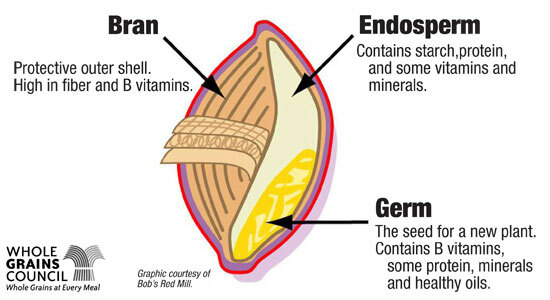 As a quick science lesson, there are three components to any grain: the bran, germ and endosperm. While the bran and germ pack most of the nutritional value, they are also the parts that give any grain a more distinct flavor and shorter shelf life. Hence, the invention of refined grains such as white flour. White flour will last a lot longer in your pantry, and won’t overpower the pastry you’re baking with a “wheaty” taste. Though I prefer white flour in many recipes, it adds very little nutritional value to your diet. Whole Grains, such as wheat, are packed with fiber. Fiber is one of the most vital nutrients for our digestive systems. High-fiber foods digest in your body at a slower-pace, which keeps blood sugar low and leaves you feeling fuller longer. As an example, I eat our cherry almond quinoa granola every morning. It is packed with whole grain oats and protein-rich ingredients such as quinoa and almonds. After eating the granola with milk, I usually don’t get hungry until mid afternoon. So now that we’ve gotten the science and nutritional aspects out of the way, let’s get back to the flavor benefits. Whole wheat flour is much more flavorful than white flour. This is how wheat flour was milled since its beginnings. As processed foods became popular in grocery stores, white flour became the norm and our paletes have adapted to its taste over time. Whole Wheat Pizza with sharp cheddar, ricotta, sautéed shiitake mushrooms, sliced granny smith apples and caramelized onions. If there are three foods I love to eat on a monthly, if not weekly basis, it’s pizza, pasta and cookies. Yes I know, very typical of an American man. But all three commonly use white flour. So these were the three foods Lisa and I tried switching to whole wheat flour. The results? All three, in certain circumstances, taste BETTER with wheat flour. 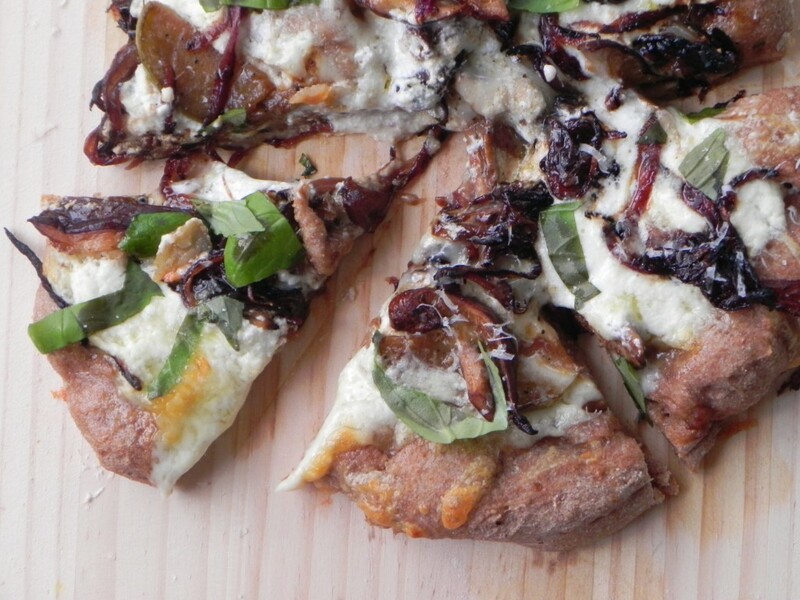 Pizza and Pasta: I have a favorite pizza recipe from Nancy Silverton’s “Mozza” cookbook. The pizza dough recipe is the best I’ve come across and bakes great in a regular home oven. I adapted her recipe to use whole wheat flour instead of white flour. The dough had amazing flavor and texture. 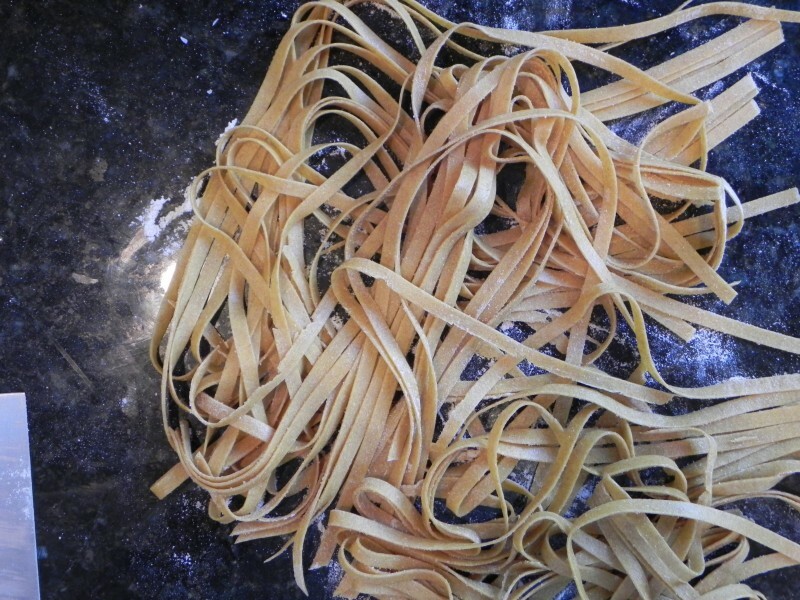 For the pasta recipe, I also adapted a recipe from her cookbook. Both recipes worked perfectly with whole wheat flour. If there is one ingredient that didn’t pair well our pizza and pasta, it’s tomato. Yes, I realize tomato is to pizza what peanut butter is to jelly. But the disagreement between these two ingredients forces you to get creative with your pizza and incorporate more healthful ingredients, such as sautéed mushrooms and Granny-Smith apples. 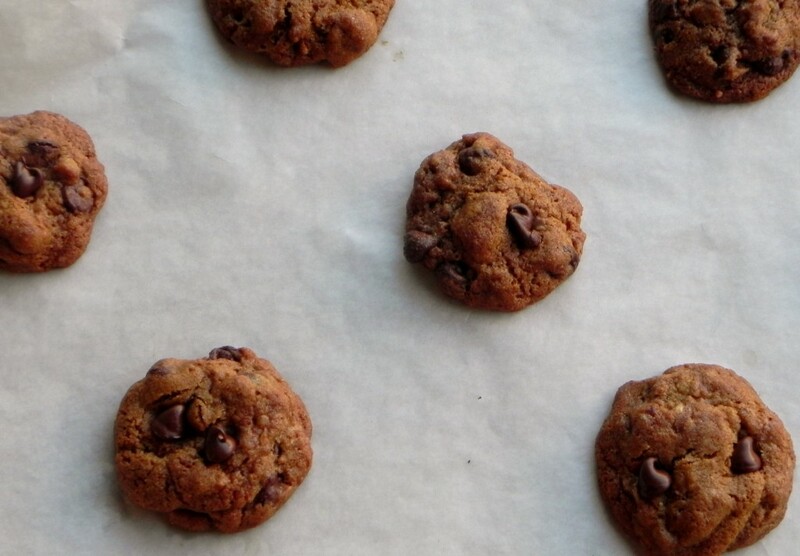 Cookies: Lisa’s chocolate chip cookie recipe is simple and delicious. We switched out the white flour for whole wheat and there was very little difference in flavor. Given the minor subtleties in flavor, what reason do we have to use white flour over whole wheat going forward? By making traditional chocolate chip cookies with whole wheat flour you’ll add more fiber to your cookies and won’t notice any difference in flavor. Yes, whole grains such as whole wheat flour are more expensive than refined white flour, but when it comes to food, you often get what you pay for. Whole wheat flour will cost you more, but it will keep you feeling full longer and digest easier in your body. 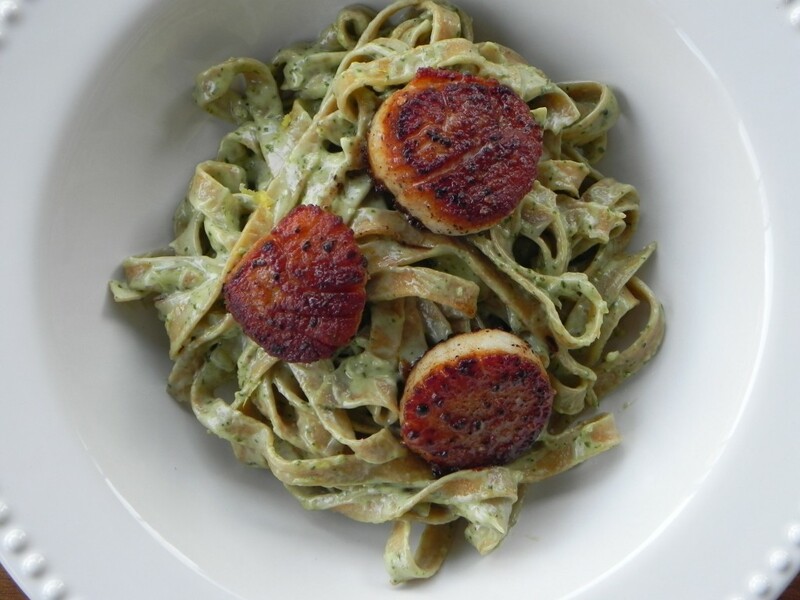 And if you get the chance to try one of these recipes, you’ll realize that not only are you paying for more healthful flour, but also for more flavorful food.